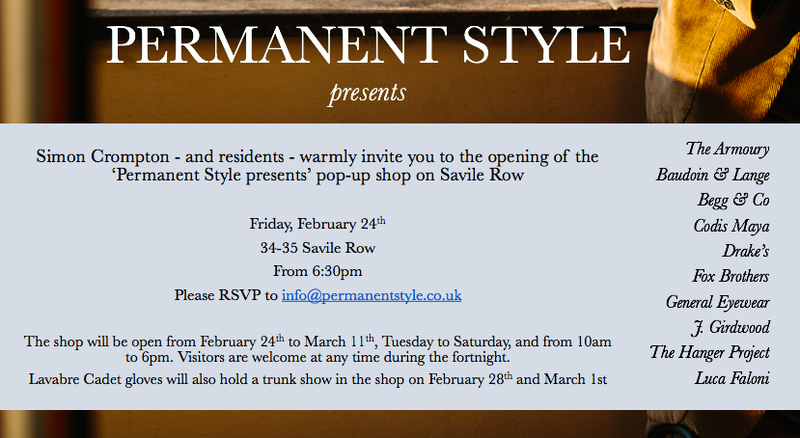 Following last week's announcement of our pop-up shop on Savile Row - under the banner 'Permanent Style presents' - here are some details of the shop and the brands. I also include an invitation, above, to any readers to come to the opening party on February 24th. It should be fun, with a new Permanent Style collaboration also launching on the day. If you could RSVP, to make sure we cater correctly, that would be very helpful. Our guiding aim at the start was to bring in products that Permanent Style readers would appreciate - but cannot currently see in London. That's why we approached Baudoin & Lange, for example. 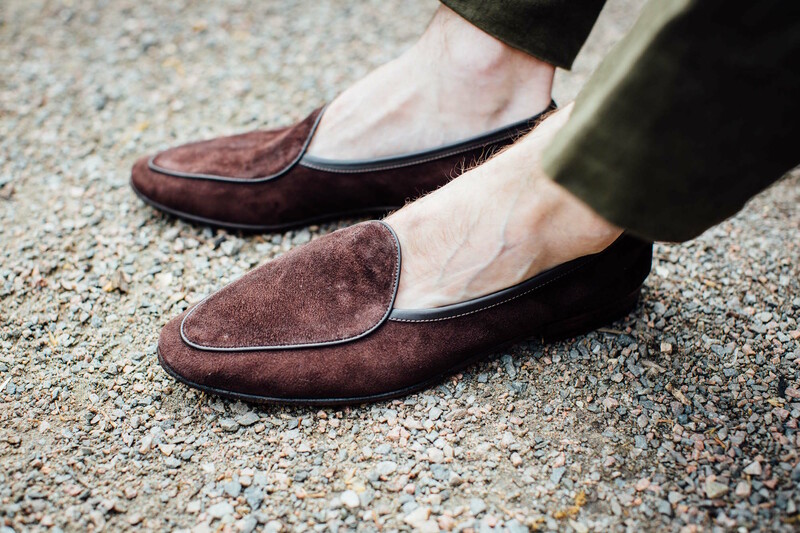 Allan Baudoin is making simply the best Belgian-style slippers anywhere at the moment, but as he doesn't have a shop, people can't appreciate that for themselves. Shoes are also particularly tricky as you really want to try them on for size. Now you will be able to. Luca Faloni I invited with a similar aim in mind. 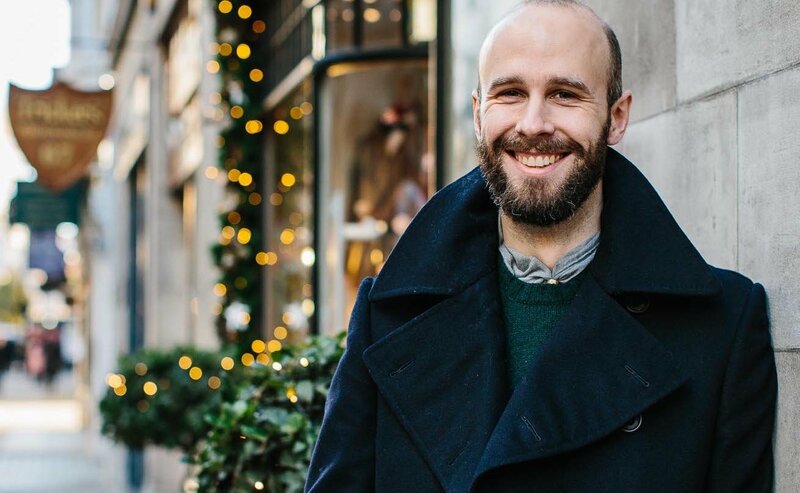 As I have written about previously, I love his cashmere knitwear - which feels like a wardrobe staple, but is also the finest quality out there (on a par with Loro Piana). And the fit is great, but again something you'd want to try in person. He will also have some his shirts, particularly in brushed cotton. The Armoury, I think readers in London will agree, is a shop we dearly wish we had here. And so we invited them to send over some of their product, particularly focusing on trousers (love the chinos and denim), bags (Frank Clegg and Ortus) and some other distinctive Armoury pieces, like their lapel chains. Including The Armoury worked well, because Drake's had asked to have a section - as their shop will be closed for refurbishment during most of our tenure - and the two brands could be managed by the same staff. So we will effectively be the Drake's shop for a couple of weeks. I have picked some of my favourites to include, focusing particularly on tailoring and summer-print ties. Fox Brothers was next, both as an online retailer in Merchant Fox (another online store without any retail) and as in Fox cloth, of which there will be a selection curated by me, for readers to select cuts of. There are two brands here that readers won't know very well, Codis Maya and General Eyewear, but which fit into something of the same mould. 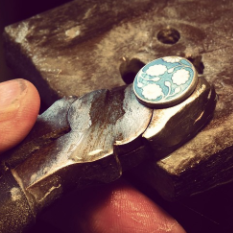 Codis Maya is a British maker of some of the finest enamel cufflinks, but is rarely presented under its own name. General Eyewear, meanwhile, is a bespoke and vintage glasses company based in Camden. Both have coverage coming up on Permanent Style. Added to these were Begg & Co - who have wholesalers around London but no dedicated retail, or a focus on the scarves I wear and have featured. And The Hanger Project. Kirby Allison now has a UK site and warehouse distributing his hangers, garment care and shoe care, but no retail presence. Which leaves just two, more personal exhibitors. J. Girdwood is a new brand being launched later in the year by my friend and ex-Drake's man James Girdwood. 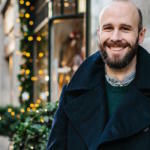 It will offer a range of clothing and accessories, and James will also be the day-to-day manager of the Permanent Style shop. This couldn't have happened without him. In that guise, he will look after the Permanent Style section too, when I cannot be there. As mentioned previously, we will have our books and polo shirts, plus a couple of new launches. Then there are the trunk shows. It's going to be quite a ride. Please do come along and support all of us. You can follow the discussion on Pop-up shop: The brands and the opening party by entering your email address in the box below. You will then receive an email every time a new comment is added. These will also contain a link to a page where you can stop the alerts, and remove all of your related data from the site. This is a great line-up! Regarding Fox. Will you be stocking fabrics suited to make a peacoat or an ordinary coat? Also, since Drakes is present, will it be possible to make MTO shirts? On Fox fabrics, not sure yet as I haven’t made my selection. But I can look for a coat one, yes. On Drake’s, yes you will. They won’t have room for every sample of shirt, necessarily, but you will be able to order anything. I need 4 metres for a peacoat? 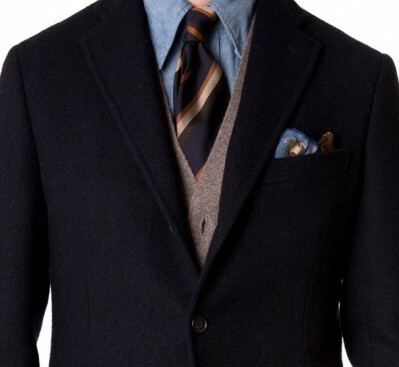 I am also considering herringbone for peacoat, would that be okay, or better for an ordinary coat? I’ll have a look but I’m afraid I can’t ship up things for every reader! Such a wonderful initiative Simon. Btw Simon, is it planned for Stefano Bemer (Tommaso) to come over for bespoke commissions during the trunk show or is it just a sample of their RTW? Will it be possible to purchase copies of your publications eg the Finest Menswear in the World. Also on what dates and times will you be present in person? Yes, all the books will be available (and signed). I will be there the opening Friday and Saturday, and then the following two Saturdays, at least. I may well pop in on other days as well though. This is a really exciting project. Are appointments necessary for the trunk shows? I would encourage them, otherwise there’s a decent chance people will be booked up. Great initiative…I’m booked in with Luca at 4.00pm on Thursday 2nd March. Hope to see you there…we have met before when you were filming outside Richard Anderson’s shop. I am following Permanent Style for several years but I am always impressed by your knowledge, style and overall commitment to show how to dress well. As I will be in London when your shop will open I am sure I will come along and have a look. 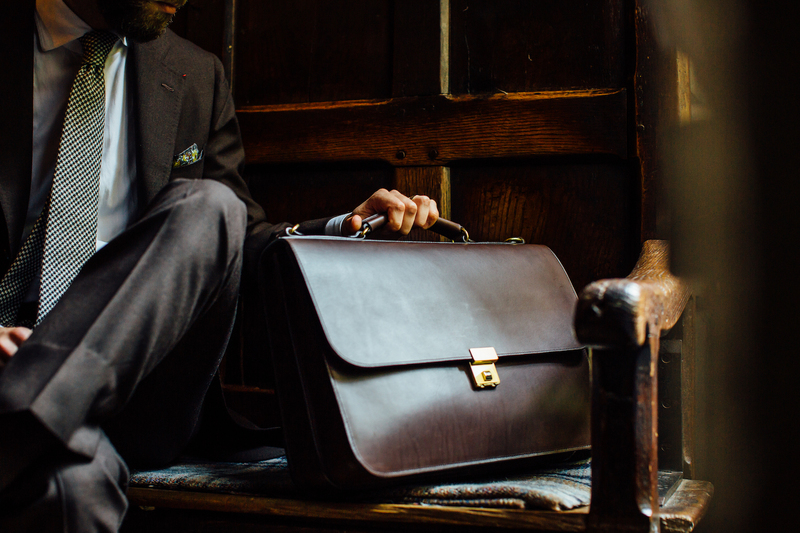 Hopefully you just carry on to share your thoughts on tailoring, shoes and accessories we appreciate. This is an inspired idea which I am sure will be very popular. I am definitely going to come down to London to visit. Simon, will there be a representative from each company there most of the time? Just wondered about getting extra info or arranging an order. Luca Falcons a definite on the list; the shirts are very good and I like the look of the cashmere you enthused about. Most will have their own, dedicated staff, yes. Good question. A few won’t: Begg and The Hanger Project, and Allan will be there half the time. For people who work nearby, will there be evenings days where the shop will be open past 6pm? It would be nice to have one day a week/fortnight of late opening. Maybe for the future you could add some social events. e.g. I would love a shoe care workshop and would happily pay £25 for a sort of teach in/tutorial and a glass of wine! Will there be daily photos/updates so we struggling folks in the States, and else, can share a vicarious experience and participate in the event? Possibly specials? Superb idea Simon. Very much looking forward to it. I don’t suppose you know whether Luca has a minimum order for this trunkshow? Is he at £200 starting now? I’m sure you’ve already thought of this, but some cloths from Fox to be made into odd trousers would be fantastic. Colours past the usual mid grey, definitely a fawn/Chino colour and maybe something similar to the H&S green. Thanks! This sounds really exciting, I wish you good luck. I hoep these questions don’t come off as negative, as that is not my internt. 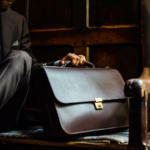 Will it be uncomfortable to have two Neapolitan tailors there – Solito and Formosa? I’d imagine that many that don’t have an existing relationship may wish to browse between the two before committing. That might just make be a bit uncomfortable, but maybe I see it incorrectly. Will you be “standing behind” the traveling tailors as No Man Walks Alone and the Armoury do in case there are issues, or is this merely the provision of a space? No problem at all Jeff, happy to answer. Solito and Formosa will be coming at different times – they are just trunks shows for a couple of days each, as indicated in the dates. So you won’t actually be able to browse between the two. And no, I won’t be effectively operating the trunk shows in the way NMWA does, or The Armoury does for example. I am merely hosting them – as to an extent I am doing with everyone there. It is a curation of brands operating for themselves, rather than PS operating a shop. I hope that makes sense. Simon, How would you compare the quality of Formosa to other neopolitan tailors? Great initiative. I’ve been trying to get in touch with Formosa to check what they currently quote as a starting price for a 2-piece or sport coat but have not heard back from them. Could you perhaps shed some light on this? Am currently deciding between going for Solito, B& Tailor or Formosa and pricing will ultimately play a role of course. Hi. Just had it confirmed, it will be 3000 pounds for a two-piece suit. Will you be open on Sundays, and what time on Saturdays? Do I need to book at all if I come this Saturday, February 25th? If so, who shall I get in touch with? Do you intend on having Christian Kimber’s products as well ? I think that he has some of his products on Exquisite Trimmings. Hi. No need to book, and no we just have those brands listed. Thank you Simon, see you tomorrow and have fun tonight with the launch.